The vigilante draws official attention to potholes by drawing giant – often graphic – penises around them. Every superhero has a tragic origin story, and this caped crusader was inspired to fight the disease in his city when he saw his friends get injured in a bicycle accident caused by potholes. His tactics work. 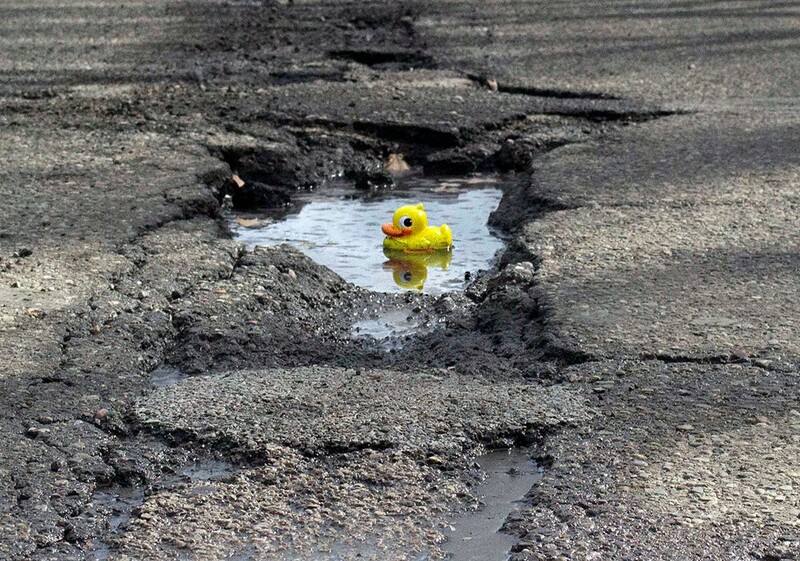 Potholes are usually fixed within about 48 hours after the drawings appear. City officials are unamused. They point out that they have to clean the chalk off the streets which diverts money away from actually fixing more potholes. But of course city officials could just let the chalk wash away in the rain if they wanted to. Read more about the superhero name this mysterious warrior has chosen for himself, the international fan base that he is building, photos of his handiwork, and more over here.